A shortage of parking spaces for high school students is creating a series of problems and potential safety issues in Montgomery County, according to an investigation by the News4 I-Team. The fast-growing school district, which includes more than a dozen large high schools, has limited available space for parking or expansion. The I-Team’s review of several of the county’s largest high schools found a parking crunch created cluttered neighborhood streets, suspected violations of no parking zones and an investigation into the illegal renting of private driveways. Montgomery County Public Schools, which is increasingly grappling with student overcrowding and demands for building expansion, limits student parking spaces at some of its schools. In some cases, high school parking spots are limited to seniors and to students who maintain a strong grade point average. Students are also asked to pay $75 for a parking pass each school year. The spillover of students who want to drive to school but cannot obtain the parking pass is creating problems, according to multiple students and county officials who spoke with the I-Team. A semester-long review of several major high schools by the I-Team shows students regularly parking their vehicles in restricted spaces in neighborhoods near the buildings. 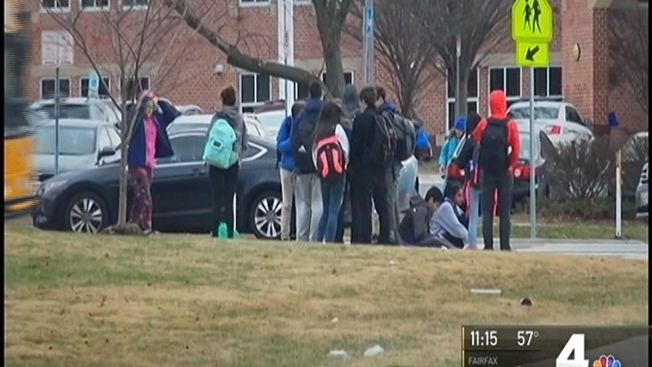 Outside Bethesda-Chevy Chase High School and Winston Churchill High School in Potomac, the I-Team saw students departing in vehicles parked in on-street parking spaces limited by “residential permits,” which are issued to homeowners to prevent student and visitors from taking street spaces. According to Montgomery County Council Chairman Roger Berliner, the council has received reports of unlawful use of residential permits by high school students. Montgomery County’s Department of Permitting Services, which enforces county ordinances and licenses, said it recently issued $500 citations against two homeowners near Churchill High School. Those homeowners are accused of renting parking spaces in their driveways to high school students, agency spokeswoman Judy Stiles said. I-Team cameras captured video of students parking their cars in the two driveways earlier this week, several weeks after the issuance of the citations by Montgomery County’s Department of Permitting Services. The I-Team footage shows one of the two driveways had diagonal painted lines and sufficient parking spaces for at least six vehicles. The homeowner declined to comment. The neighboring homeowner did not return a request for comment. Stiles said the renting of private home driveways to high school students or multiple cars, without proper county permits, is a violation of county ordinance. Reported by Scott MacFarlane, produced by Rick Yarborough, and shot and edited by Jeff Piper.